With HTML 5, Google Chrome is now able to estimate your current location with the help of a new Geolocation feature. 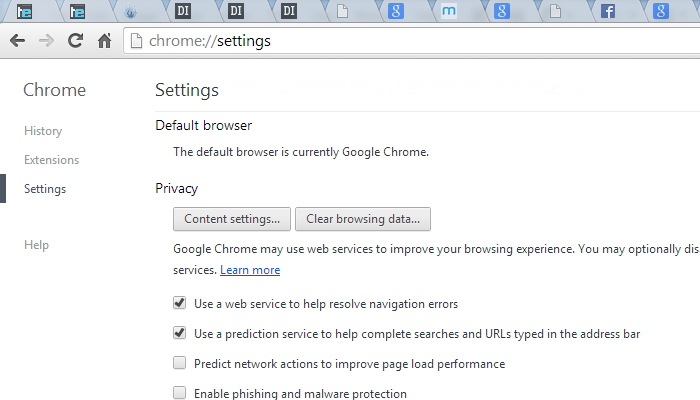 If you are privacy conscious then you might want to turn this feature off on Google chrome . For example , when you are browsing a location aware website on use Google Chrome, you will be requested to share your location data. If you allow Google chrome with this request, The HTML 5 geolocation feature will try to estimate your location on a map accurately to the nearest latitude and longitude coordinates . When on a wired connection this feature may not be accurate as it tries to estimate your location coordinates from your IP address. Whereas, when you connected to a GPS, WiFi or cell phone tower, the Geo location feature will be able to accurately find out your location coordinates. For those who are concerned about their privacy, it will be better if you disable the geolocation feature in Google chrome permanently. 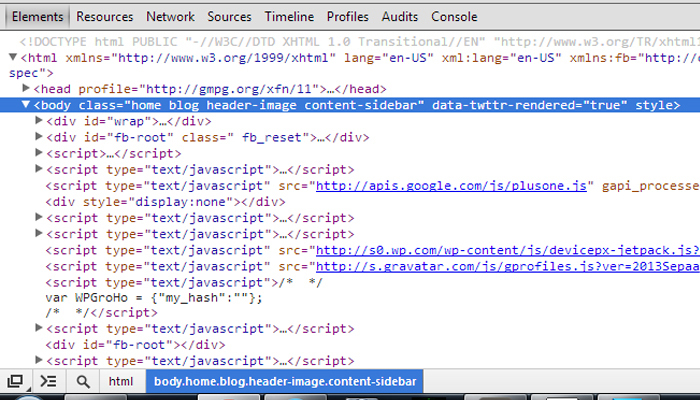 Otherwise you can even fake the geolocation data through the developer settings in Google chrome. For those who are interested, here’s how you can do so. Step 1: Go to Settings in chrome. Step 2: Click Show advanced settings on the bottom of the page. Step 3: Under privacy click and open Content settings. 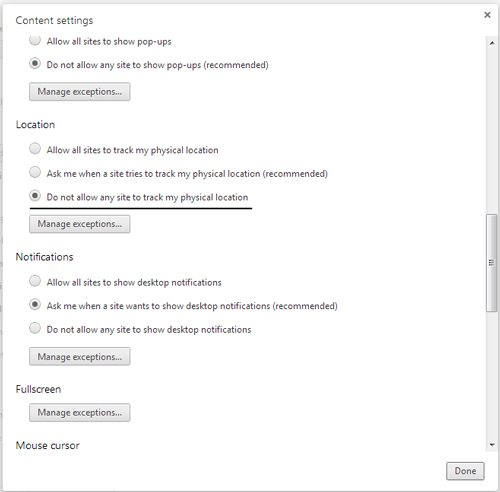 Step 4: Scroll down to locations and select “ do not allow any site to track my physical location “ and click on done . Google chrome is now set to not share your location data with any website . Lets find out how we can fake the location data in Google chrome . Here are the detailed instructions to follow . 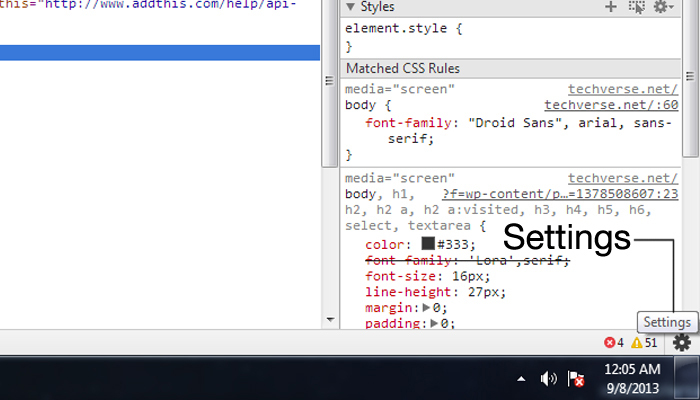 Step 1: Open the developer tools in Google chrome by pressing F12 or ( CTRL + Shift +I ) keys . 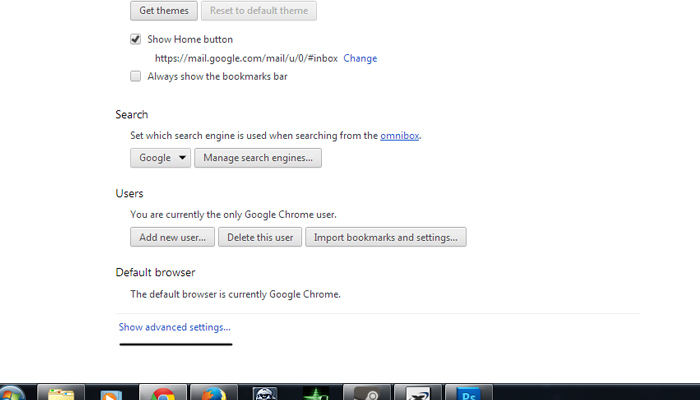 The below instructions are for a older version of Google chrome. Step 2: click the settings button the bottom right . 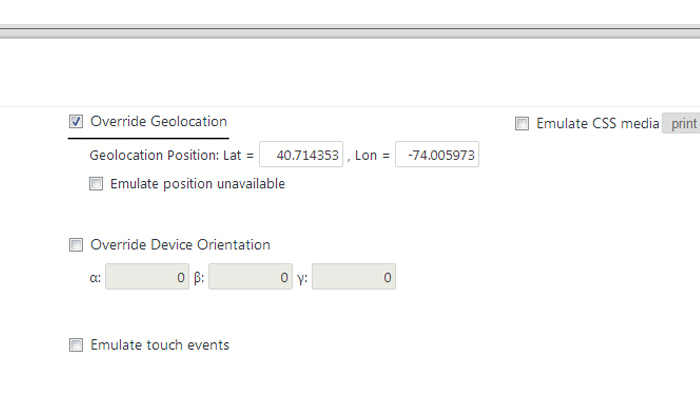 Step 3: Select overrides from settings and check ” Override Geolocation “. Step 5: Restart chrome and find out your current location with Google maps . Voila ! your location is now faked . Now Google chrome will use the fake location coordinates set by you as your location and hide your real location to any website on the internet . Try out this tip and do let us know how did you implement it ?